The latest flagship Olympus PEN E-P5 has all the goodies you would expect in a premium Micro Four Thirds camera. But it also has some cool new features. Here are my favorites. Built-in WiFi that connects to the excellent Olympus I. O. Share app. WiFi is good, we see that more and more these days. But pairing it with an excellent mobile app is even better. QR Code Connection - Take a shot of the QR code on the camera's LCD monitor with your smartphone and your camera and smartphone are sync'd instantly using the OI.Share's private connection. Interval Shooting with Time Lapse Video - Interval shooting allows 1-99 shots, from 1 second to 24-hour time interval to record a series of pictures. The E-P5 can also convert a series of pictures taken using interval shooting into a time-lapse movie (Max 10 seconds movie at 99 shots). Focus Peaking that makes manual focusing much easier. And with so many lens adapters available for Micro Four Thirds, you can put just about any type of glass on the E-P5. Live Bulb with Histogram that allows you to see the progression of exposure with the live histogram shows you how exposure is distributed across all points of the image. 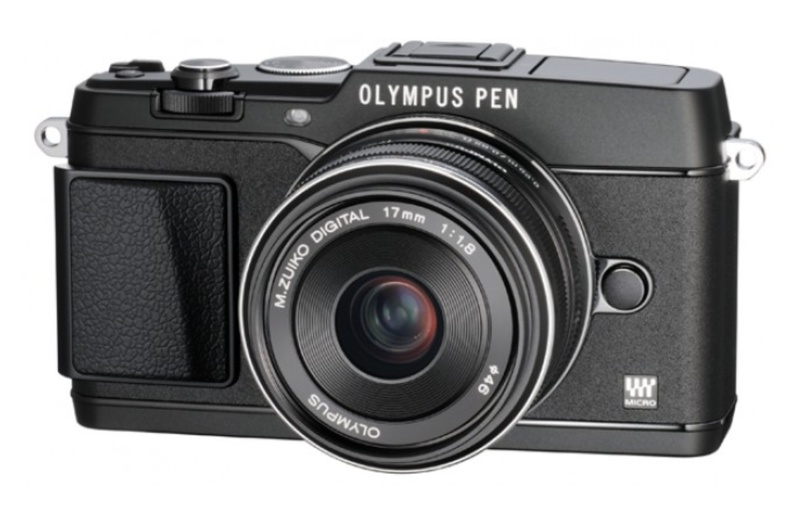 The Olympus PEN E-P5 is available for $999 body alone, or in a kit with the 17mm f/1.8 prime and VF-4 electronic viewfinder for $1,499 (that's the one to get! ).